You might have already established by now that I am lover of a good t-shirt. 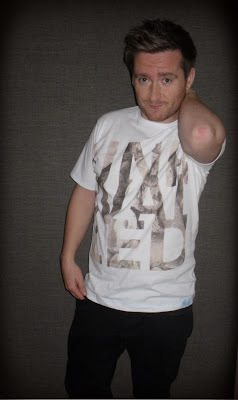 One of my first blog posts was on the importance of t-shirts in a man's wardrobe. 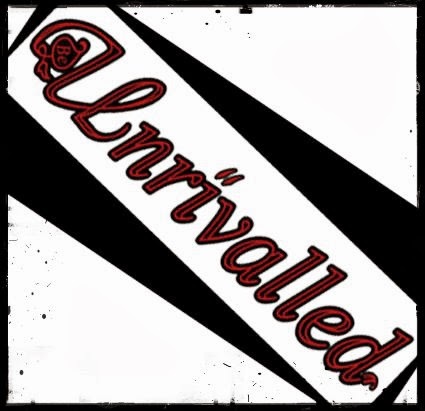 So when I found Be Unrivalled on Twitter, I knew I'd discovered something different. Be Unrivalled is a small yet powerful new enterprise; who want their wearers to live up to their potential, to be beyond measure. Be Unrivalled's slogan is "Art is not just for walls" and this spirit is evident in their entire approach to design and style. Their logo, t-shirt designs and on-site banners are striking with an obvious desire to bring graphic design to fashion. 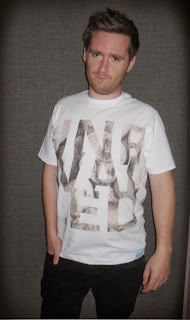 The guys were kind enough to offer me a t-shirt for my blog and I was even given full choice of the style. I was not disappointed. I love the logo. It wouldn't look out of place as a tattoo. I opted for the Bloc Pebble Type, partly because I don't really wear black and partly because the font and imagery reminded me of my own blog logo. I'm a fan of typography and the use of the pebble pattern and text layout makes the slogan UNRIVALLED strong but still understated. 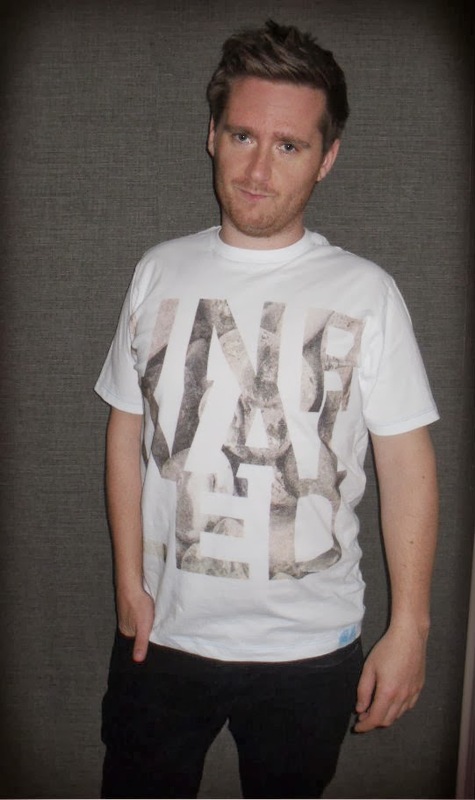 The t-shirt itself is amazing quality. It is made of super soft brushed cotton (peach effect as they call it) giving the tee a vintage, broken-in feel; like it's an old favourite. I went for a medium and found it a good length in both body and sleeve and it has a slimmer profile without being super skinny. With prices from £23 for men and £21 for women, the selection is definitely affordable, especially for a smaller, boutique brand. I can see great things in Be Unrivalled's future if they continue with their strong, design-led approach. Too often companies take the obvious route with easily sourced patterns, cheap fabric or cliched motifs, but utilising a graphic talent to produce your designs should ensure each is fresh and modern. Check out their site or give them a like or follow on social media. We all start from somewhere and helping a new brand become established is something to be proud of.